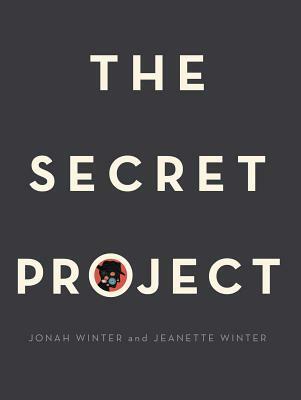 In the author’s note at the end of The Secret Project, Jonah Winter describes the catastrophic effects of the first atomic bomb. The explosion rocked land 160 miles from the site, loomed seven miles above the ground, and broke windows 120 miles away. Even more chilling, the radioactivity found in both plants and animals after the bomb is estimated to last for 24,100 years. Twenty-four thousand, one hundred years. This number is virtually immeasurable as we contemplate our lifetimes. This number goes well beyond the lifetimes of our children, our children’s children and the ones to follow them. It is a vast number, both in scope and substance, one that seems to slip right through our fingers when we try to grasp its magnitude. But this is how long the effects of a nuclear bomb can last—effects that may lead to cancer, harmful genetic changes, and a host of other illnesses. Yet actions taken today—our own, and those of the people surrounding us—can have consequences that span such unfathomable periods. There is no debating the fact that we aren’t all racing against time to create the next nuclear weapon. But the lessons learned from The Secret Project can be pared down and taught even to our youngest children. Those “secret projects” our kids concoct when they feel threatened, scared or anxious may seem acceptable—through their eyes—when executed. Whether it is a lie they tell to a parent, a rumor they start about a friend, or a classmate they begin to bully, they can find a million reasons to justify their actions or rationalize why their decisions are the right ones, perhaps even the only ones. But we, their parents and educators, must be mindful to help them understand the long-term consequences of such behaviors. When a child believes he has to operate under a shroud of darkness, it is time to take action. Perhaps we can teach our children that the things we plot undercover when we are fearful of perceived threats are actually better served when brought to light. When handled openly—when we give our children safe spaces to confront their fears head on—we can teach them to communicate powerfully, negotiate creatively, and compromise effectively. It is never too early to teach conflict resolution and assist both kids and teens alike with identifying problems and exploring solutions, with or without adult guidance. If we can instill this strategy in little ones at a young age, we may go a long way to preventing serious repercussions. We cannot pretend that preventing twenty-four thousand, one hundred years worth of ripples through our world is an easy feat. But if we begin today, if we start with our children, we can go a long way towards ensuring that light forever eclipses the dark.